Bell is powder coated steel with a cheerful smile face imprint. Base is made of steel and painted black. Made in the USA. Bottom diameter: 3 1/8", height without ringer: 1 1/2"
This bright yellow call bell will add cheerful service to any business or industry. Enjoy a bright smile and bright sound with quality service every time! 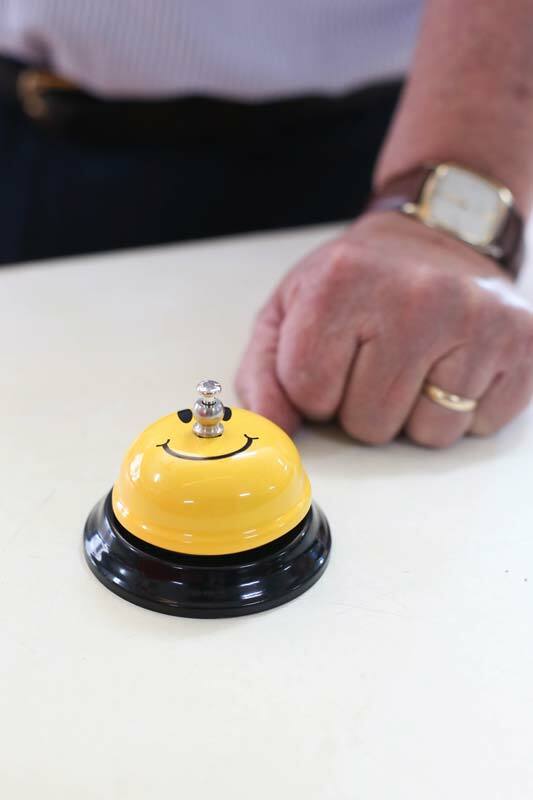 This service bell is a must have for anyone serious about having a quality business.